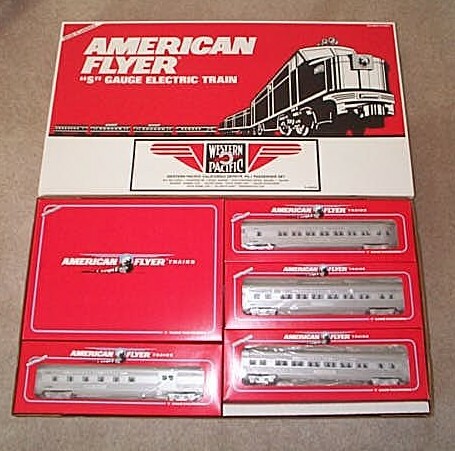 American Flyer : Olson Hobbies, Welcome To The Train Page! 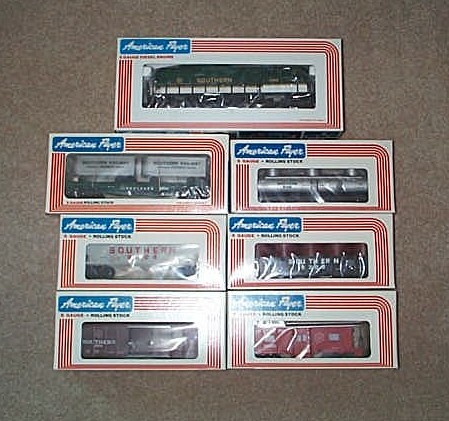 American Flyer 8153 B & O Freight Set One. 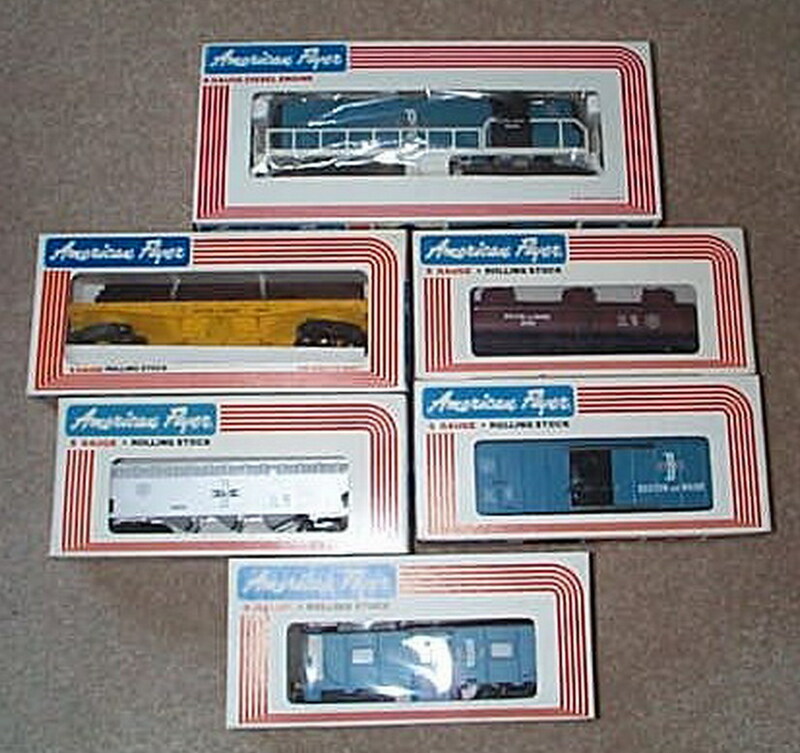 American Flyer 8350 B & M Freight Set Two. American Flyer 8458 Southern Freight Heritage Set Three. 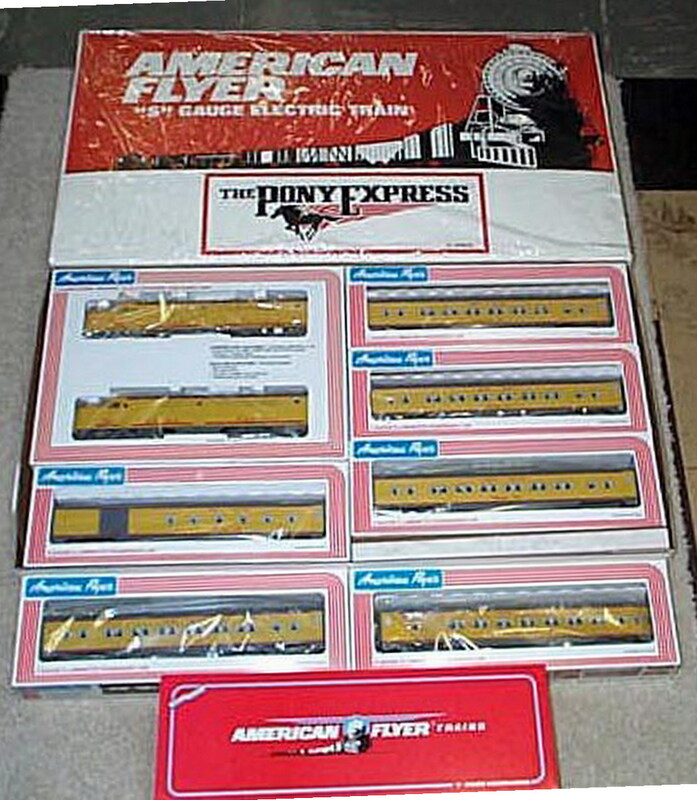 Lionel American Flyer 6-49600 Union Pacific PA-1 Set. 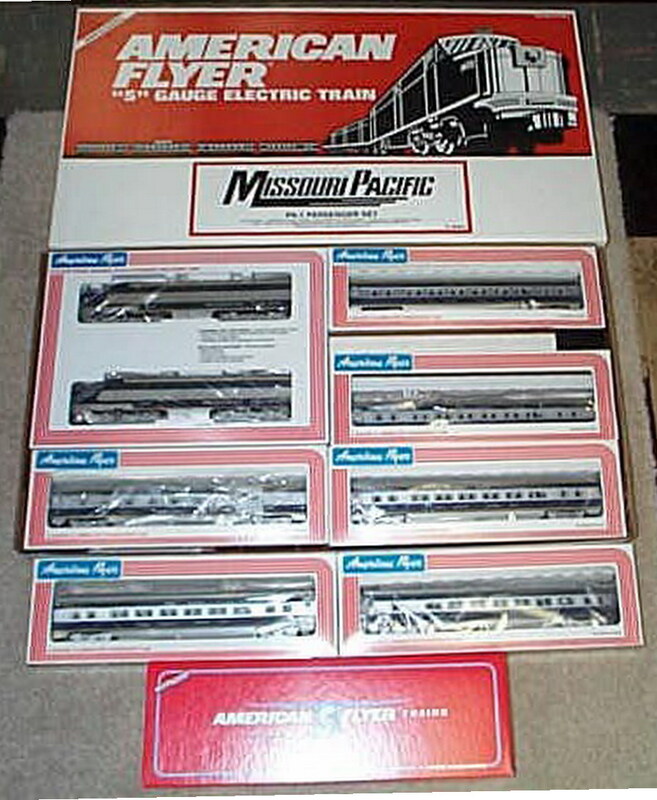 Lionel American Flyer 6-49601 Missouri Pacific PA-1 Set. 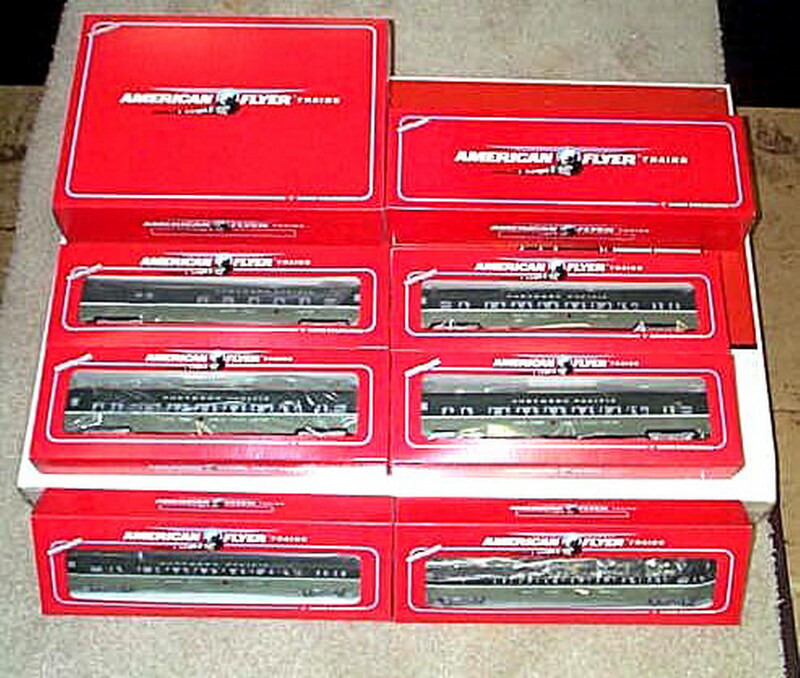 Lionel American Flyer 6-49602 Northern Pacific PA-1 Set. 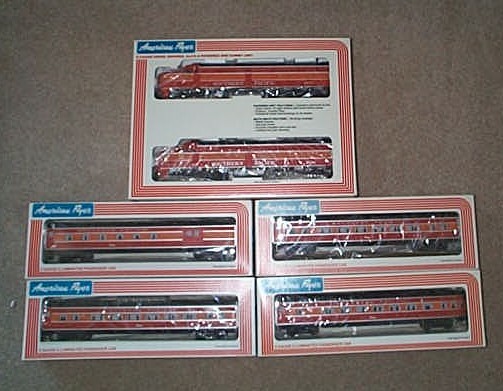 American Flyer 6-48016 Christmas Set. 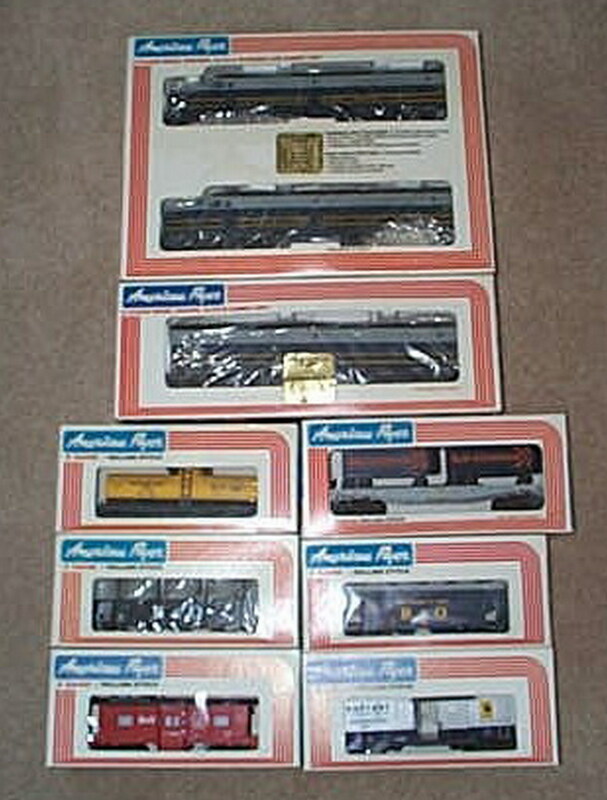 1981 American Flyer Southern Pacific Passenger Set (8150). 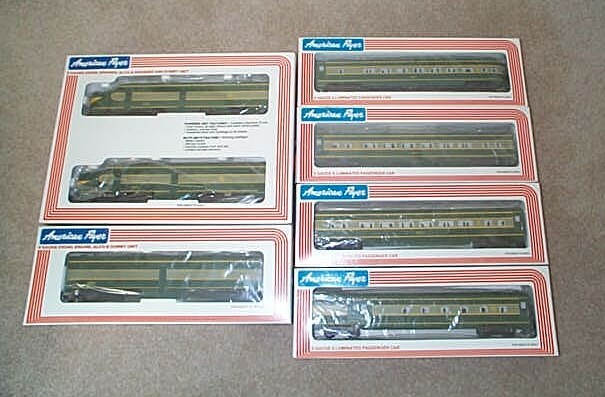 1982 American Flyer Erie Passenger Set (8251).